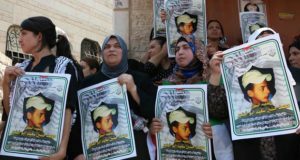 The High Court of Justice last week upheld a ruling for the eviction of a Palestinian family from the Sheikh Jarrah neighborhood of East Jerusalem, whose house is owned by religious Jews. 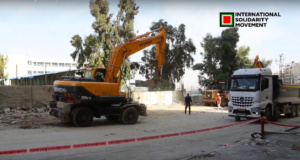 The eviction spurred protest by senior Palestinian Authority officials, and diplomats from several consulates have already visited the house. The Khurd family has lived in the contested building since 1956, when the area was under Jordanian control. After the area came under Israel’s control in 1967, the Committee of the Sephardi Jewry and the Committee of the Knesset of Israel – two religious bodies – presented the Israeli authorities with various documents showing that they had purchased the area during the Ottoman rule. The Palestinian families residing there were allowed to stay on as protected tenants, until they stopped paying rent. This prompted the owners to file for their eviction at the Jerusalem District Court, which ruled in favor of the plaintiffs from the Nachlat Shimon non-profit organization. The family appealed to the High Court of Justice, but the justices upheld the district court’s ruling. 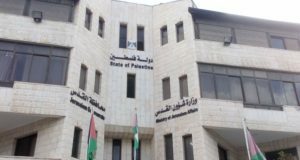 Following the ruling, Rafik Husseini, an aide to Palestinian President Mahmoud Abbas, last week contacted a number of consulates saying that the eviction creates a legal precedent, which will allow the eviction of 25 other Palestinian families who are in the same legal situation. Since the 1990s, Nachlat Shimon, which represents land owners as they are listed in the records of Israeli authorities, has been making its presence felt in buildings surrounding the tomb of Simeon the Just (or Shimon HaTzaddik) a High Priest during the time of the Second Temple. If the family is evicted, Nachlat Shimon will take over the property. Following Husseini’s letter, diplomats from the U.S. consulate in Jerusalem visited the house, along with several other diplomats. Additionally activists from organizations such as Rabbis for Human Rights have set up protest vigils near the house, with the intention of physically preventing the eviction.